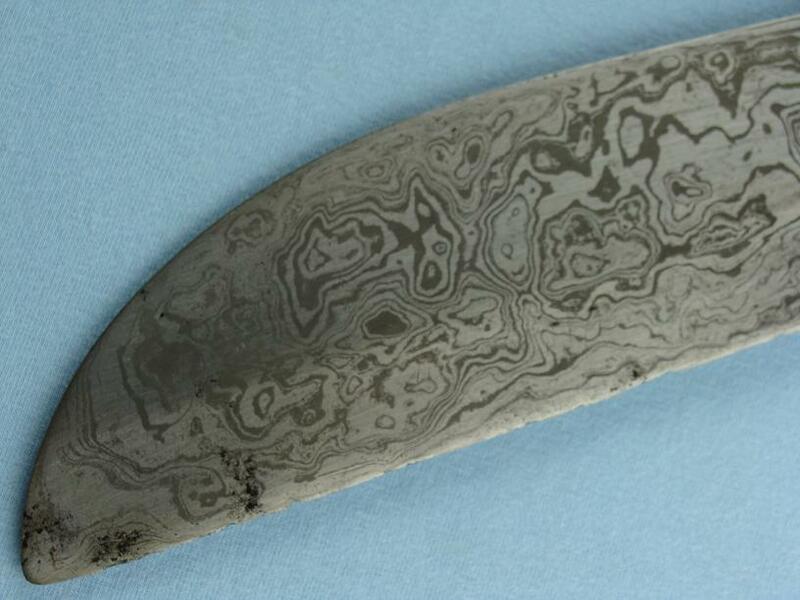 A stunning Co Jang with a stunning Damascus steel blade, Kelling Hall collection. 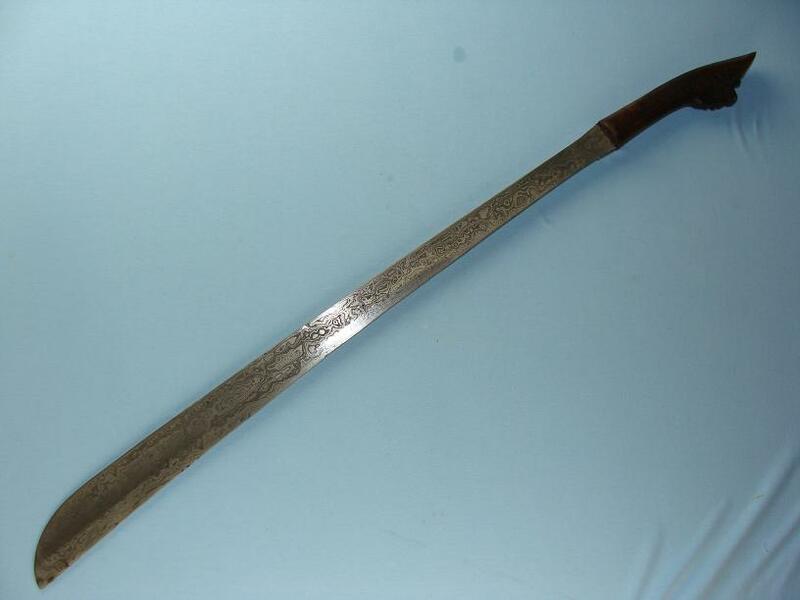 Overall this rare example measures 77cms with a blade length of 61cms. 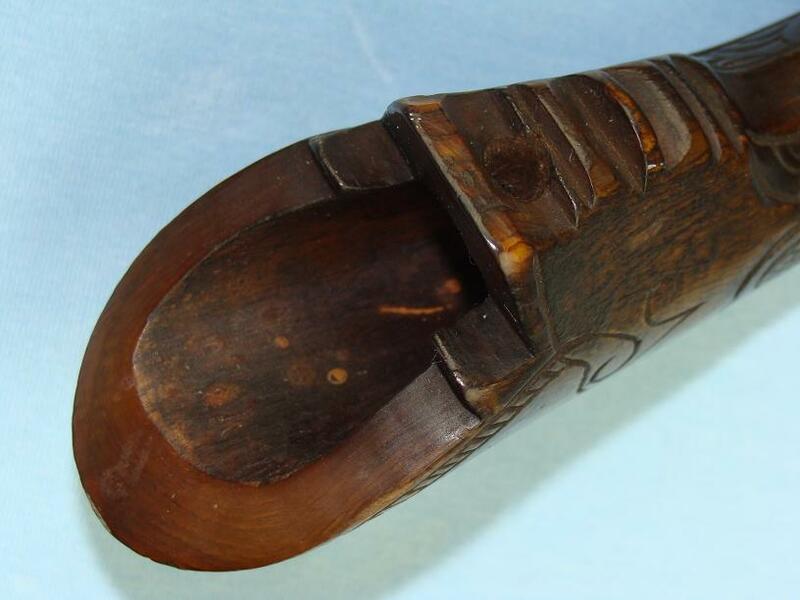 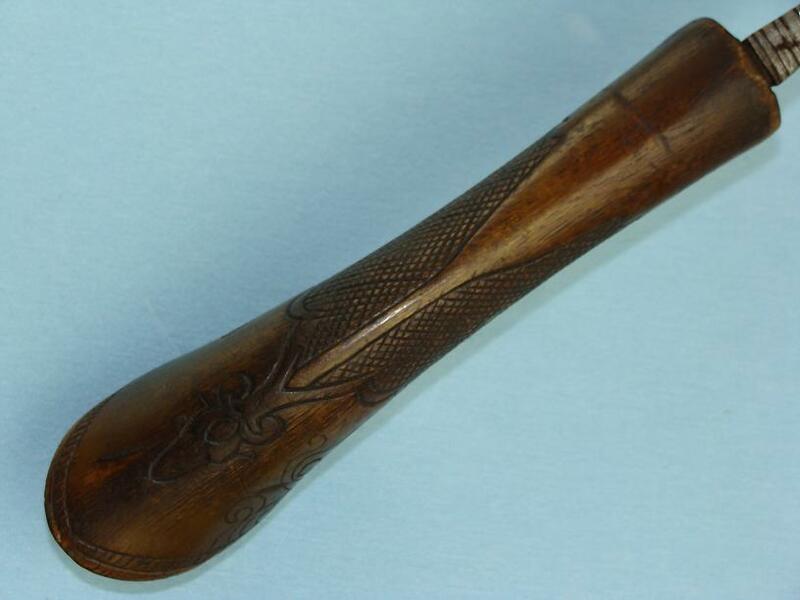 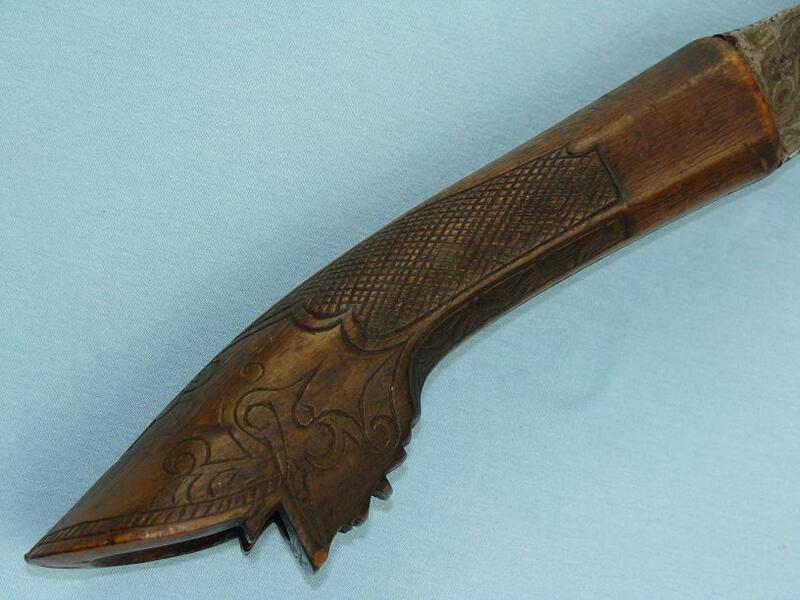 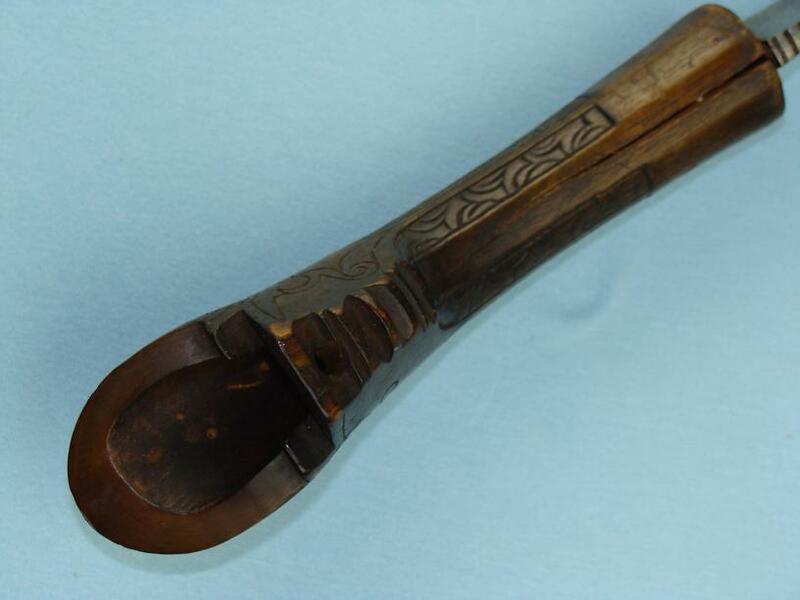 A very nice Co Jang of good proportions and a very nicely carved Hulu tapa guda carven horn hilt. 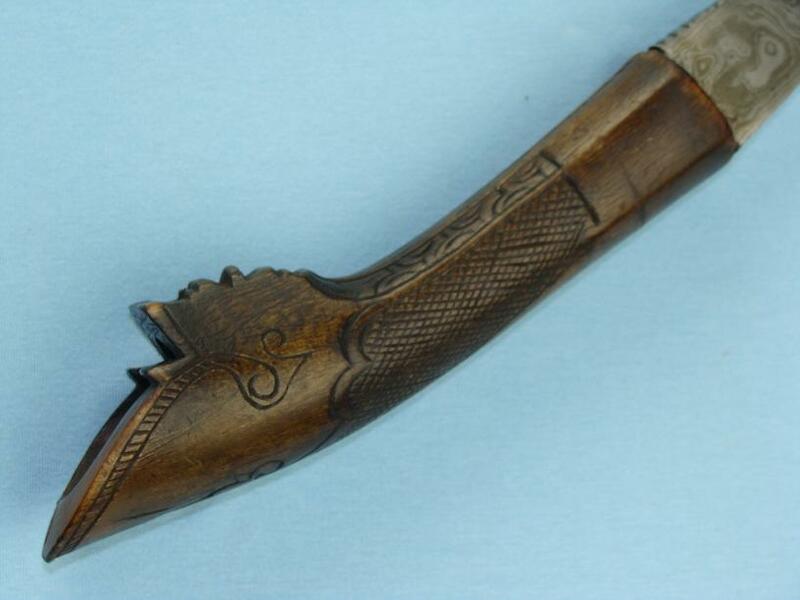 When refering to Albert Zonneveld's work, page 55, plate 154 shows an example of this style of hilt. 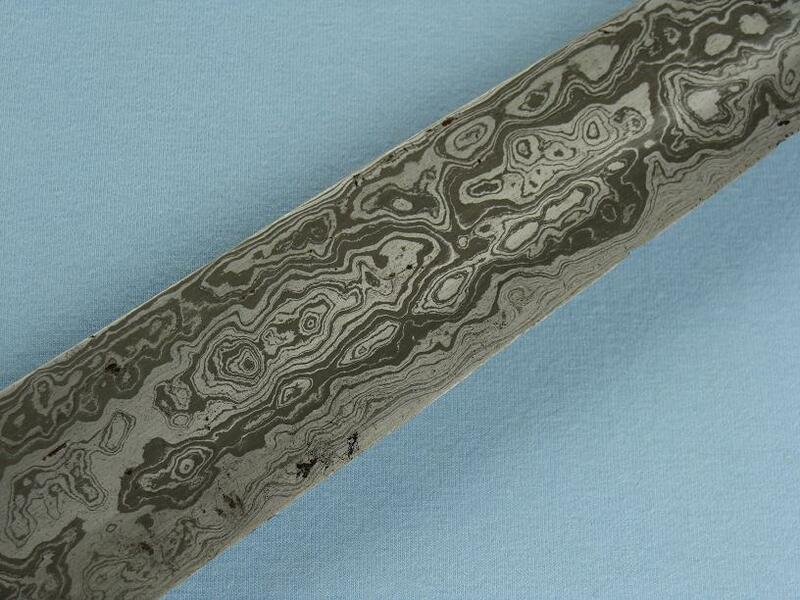 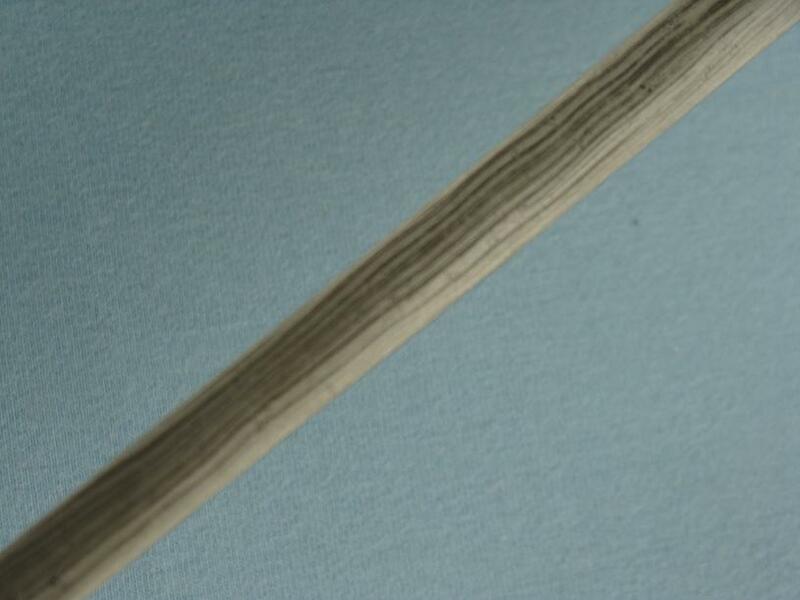 The fine blade is of good forged pattern welded construction. 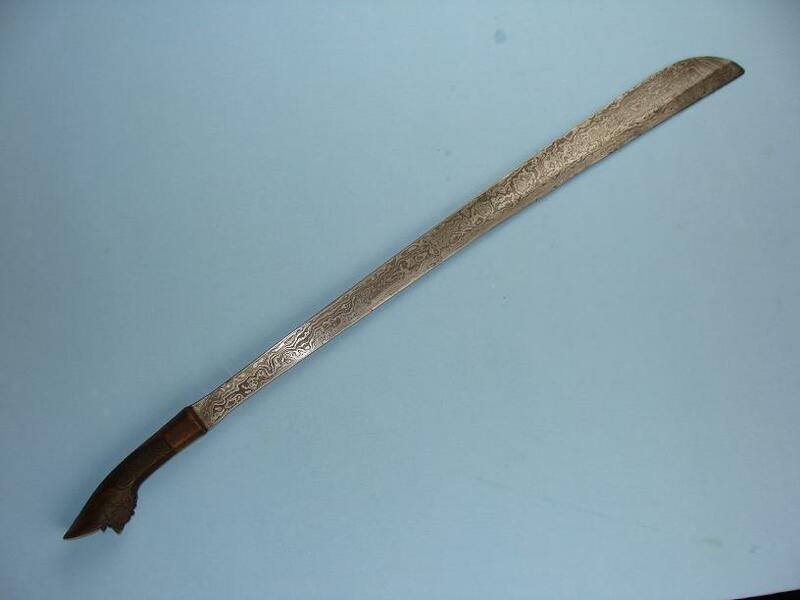 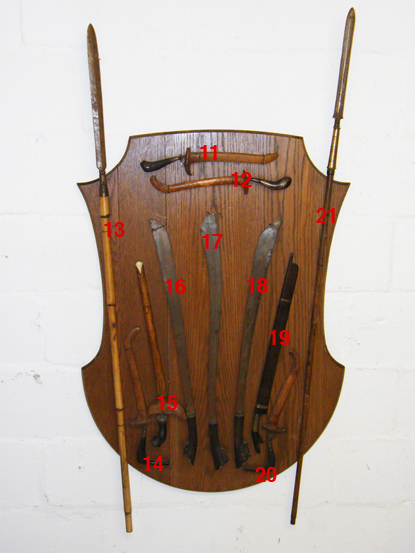 This is a very well proportioned fighting sword in very good condition from a very long standing collection.